Starting with five cows and one employee in 1980, Ken Clark has built two successful businesses employing more than 1 000 people; Crickley Dairy and Twizza. 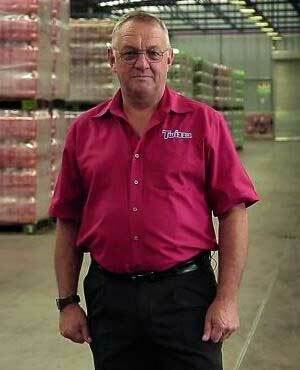 Crickley Dairy is an institution in the Eastern Cape, and while Twizza, a carbonated soft drinks business with a distribution network spanning across South Africa, Lesotho, Swaziland, Namibia, Botswana and Mozambique, has found a profitable niche in a market dominated by Coca-Cola. How did the dairy business start? My dad was a sheep and cattle farmer in the Dordrecht district, and had a small dairy. I took a liking to the dairy as a youngster. I went to the army, came back and worked for my dad for a short time. I’m very single-minded and we bumped heads a bit, so I eventually opted to go on my own. So in 1980, I started with just five cows, and tried to start building a little herd. Within a couple of years, I was the biggest milk producer in the Dordrecht district, and started looking at selling milk into the Transkei. Somebody else was buying milk from me from time to time, and so that sparked an idea. That’s how Crickley started – in a very small, 80m2 rented building. At that point we were just trading in raw milk, to be honest. We grew with time, adding fruit juices to our product offering and moving to bigger facilities, until we eventually took over the property in Queenstown where we are situated now. In 2002, I started looking into carbonated soft drinks (CSDs). I went to Germany, Poland and Italy, looking at equipment, and put a plan together in 2003. Within five months, we were running a 24/7 operation. The next October, we put in our second line, which had a bit more capacity. In 2008, we put a further line into Queenstown. This time it was a substantially larger line, producing 36 000 litres an hour, and with that base, we started distributing to niche customers around the country. Once we had a substantial market in Limpopo, we established a plant in Middelburg. We went to Middelburg in September 2011, purchased a property and were able to start working the ground in March 2012. We needed to catch the peak summer season (December), which meant it was an extremely tight schedule and it presented us with a host of challenges. We managed to overcome these challenges, and we produced our first bottles off that line in December 2012. The next year we put in a second line, together with a second injection moulding machine. We opened our third plant in Cape Town in 2015 and now have capacity to produce approximately 4.5m litres a day. Why did you think you could take on Coca Cola? A number of us started when Coke was reigning supreme, and we realised there was space for an affordable brand. From day one, we’ve been about affordable quality. But we don’t stand back for Big Red. We believe we’ve got as good, or better, than what they have, and we’re an affordable brand. But cracking all the channels in the market is not always easy. So we started with wholesale. Prior to that, Coke basically did all their own distribution. We effectively created a CSD category for wholesalers. There was a lot of excitement in that space because this category was growing at such a high rate. So we got an incredible amount of support from the wholesalers. The biggest challenge we have with Coke is the strength of their brand. We can’t deny that, it’s a strong brand. Building our brand is key to us going forward. We’re looking at all sorts of innovation, marketing, and putting up a really good team to get that right. We plan to continue to grow, and to become the number one local producer in the country. When I was only in dairy, I was always of the opinion that the cost of our packaging material was exorbitant. Part of my trip to Germany was about having a look at PET injection moulding, blow moulding and integrated lines from a filling perspective. 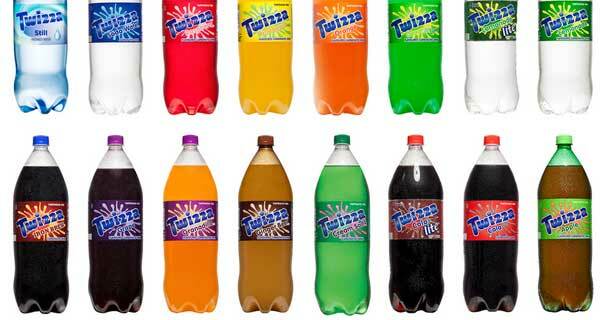 It just made sense that we started to do our own packaging from day one with Twizza. Within two years, we purchased an injection moulding machine, so we control the value chain from raw material to finished bottle. There’s a lot to be said for owning the value chain, and I think it’s an integral part of our success. The minute you outsource too much to others, you become their cash cow. Also, it takes a huge amount of risk out of the business. In my first few years, we got to a point where we couldn’t buy pre-forms (a tube-shaped PET product that is subsequently shaped into a container), because Big Red had just taken up all the capacity, and eventually we could only buy ones that didn’t meet their specifications. That was a huge risk, and prompted me to look at injection moulding and becoming self-reliant. Subsequent to that, we started making our own bottles for dairy. That changed that business – I think we still have a huge competitive advantage because we do that and few others do. Unfortunately there’s a huge capital commitment to start it, but the pay-off is definitely there in the long term. In my very, very early days in the mid-1980s, I bought my own building and put up a pasteurisation plant, and got some funding from the Industrial Development Corporation (IDC). What I’ve always had is discipline within the business. Buy an asset and pay it off as quickly as you can, and then use the revenue-generation capability from that asset to pay for further assets. When we started operating in Middelburg, we built up a little nest egg that we could put down as a significant deposit and we got bank funding for the rest. So over the years we’ve used bank funding, and up to now we haven’t had to go for an equity partner. Of course we are open to growing and getting bigger, but at the right time, in the right place and with the right partner. We run a fleet of about 100 trucks, and manage our distribution in such a way that the route to market to the customer is the cheapest. In some instances it is cheaper to use a third party, but mostly not. We pride ourselves on our service. You phone and place an order today, we promise delivery within 48 hours on time and in full, but usually we’ll deliver in under 20. If you can do that consistently, then your customers don’t need to hoard stock, and that becomes a value-add to them as well. What is the impact of the sugar tax? I don’t think the dust has settled just yet as far as that’s concerned. It was quite sudden on the entire industry, and I think we’re going to have to wait to see exactly how the consumer accepts this development. Most of us have reduced sugar to avoid paying tax – we have, throughout our range, because I think price is that important…..